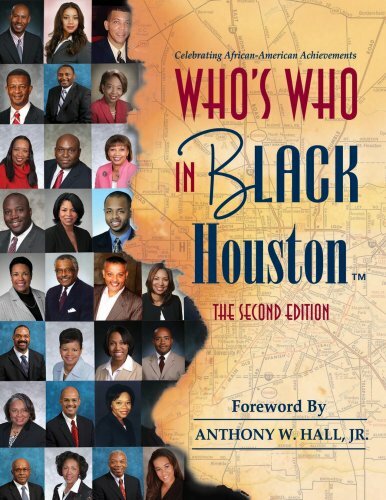 Synopsis: With a powerful foreword written by Anthony Hall, this highly anticipated second edition of Who's Who In Black Houston™ captures a cross-section of personalities that help make this Gulf Coast city unique. In addition to a special tribute honoring William A. Lawson, the founding pastor of Wheeler Avenue Baptist Church in Houston, Texas. The book also includes inspirational stories and mini profiles featuring more than 400 corporate executives, physicians, attorneys, entrepreneurs, media professionals, entertainers and community leaders. Publisher: Who's Who Publishing Company, L.L.C.